My journey was featured by Voyage Magazine - March 2018 edition, check it out! (Click here). FOR A LIMITED TIME*: Access to online childbirth class through Evidence Based Birth® totally included on your doula package! Studies show families have better birth outcomes when Doulas are present: lower medical interventions and a higher overall satisfaction of the birthing experience, regardless the type of birth you plan to have. If you are planning either a home or hospital birth, natural, epidural or cesarean, anyways your family will be benefited by the support of a Doula. 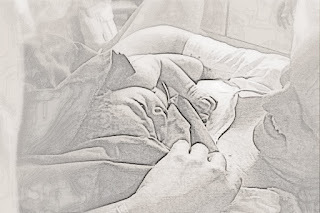 One of the key aspects of the involvement of Doulas at births is that we proportionate an emotional sense of security by maintaining a “constant presence” throughout labor, providing specific labor support techniques and strategies, encouraging laboring women and their families, and facilitating communication between mothers and medical caregivers. [Impact of Doulas on Healthy Birth Outcomes, Kenneth J. Gruber, PhD, Susan H. Cupito, MA,and Christina F. Dobson, Med]. When to contact your doula? It is never too late or too early in pregnancy to contact me. As a Professionally Trained and Certified Doula, I have knowledge on the physiology of birth and the emotional needs of a woman in labor. I am constantly learning and investing in trainings to better assist families. I bring the empirical knowledge from a variety of births attended over the years. My work is not related to any specific hospital or birth center to better serve the families' interests. First of all, we will have one first free meeting on a place like a coffee house to get to know each other and check if we are a good fit. During pregnancy, we have at least 2 prenatal visits where we will discuss your birth preferences, expectations, concerns, resources, needs and go over confort measures and positions for labor. Incentive and facilitate your partner to participate at his and yours comfort level. It is important for me that you have the memories of your birth experience, nurtured and protected. If photography is one thing you consider important as part of your birth memories, either you have a professional birth photographer or not, I offer to take some pictures when able. I will stay with you for immediate postpartum support for approximately 1-2 hours, making sure baby has latched successfully and the family is settled. I will check with you the best time for our postpartum visit to debrief your birth experience, assist with baby wearing or other subjects, handle your pictures if you wanted them. I have attended births in all different scenarios (home births, birth center births, most hospitals) in Houston and great Houston, I highly admire, respect and bring with me the strength and determination from each family/ laboring woman I supported. I gave birth three times, three different situations and for all of them I had a Doula with me. I can recognize many aspects on which they were worthy and essential, not only during labor and birth, but during all the preparations and decisions we need to make while pregnant. Birth is a powerful event for all women. The forces involved are intense enough to make us vulnerable and susceptible, and, at the same time, so conscious, we are able to remember and will retell our experience for as long as we live. Birth has the power to transform us. 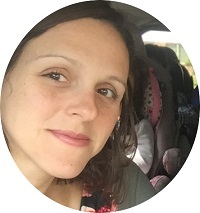 As a Doula and mom, I recognize how important this moment is for you and for your family, and I am here to support the gentle birth of your baby.